Canvas - Your photoshop mockup, in every screen. Your photoshop mockup, in every screen. Canvas is a companion app for Adobe Photoshop®. It connects to Photoshop® through built-in Remote Connection, keep Canvas in sync between your computer and your device, preview it in live. No more transferring or emailing images. With Apple Watch extension app, Canvas can show your design right on your wrist. 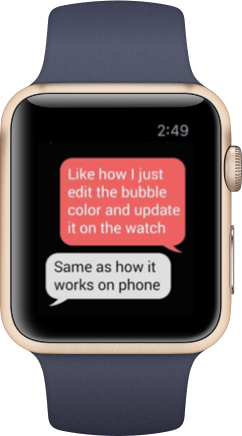 You can get a much more accurate feel of your Watch UI.